Quick Impressions of Oh, Deer! Alpha. One of the last PlayStation Mobile games. 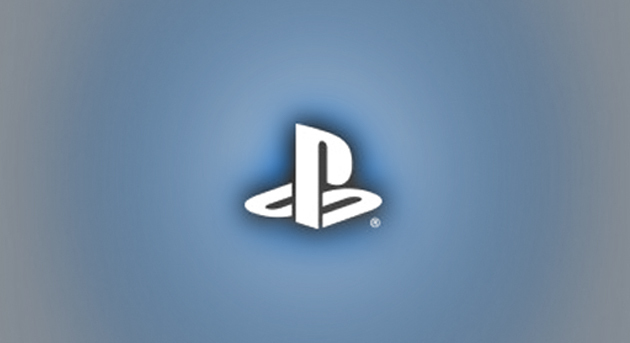 Update: The final day to purchase PlayStation Mobile content is September 10th and NOT July 15th as I previously stated. *1　Users may be able to continue purchasing PSM content between July 15, 2015 and September 10, 2015 via browser. The sun is setting on PlayStation Mobile and with it we’re seeing the last few releases on the platform. One of the final releases comes in the form of Oh, Deer! Alpha. 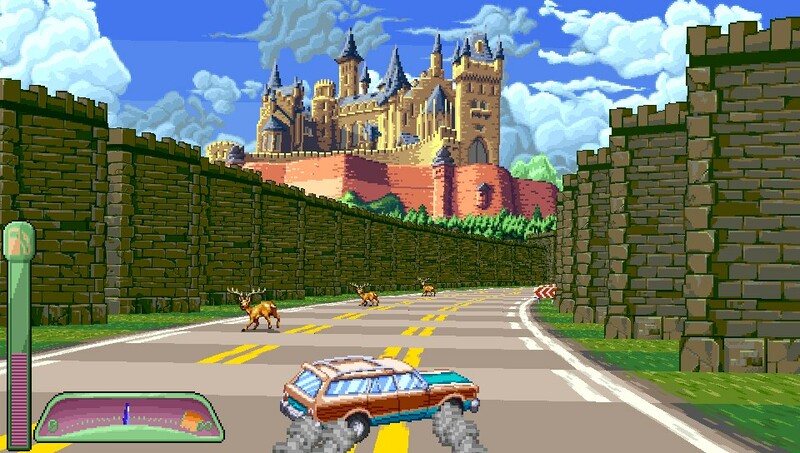 In the game you’ll drive, drift, and hit/avoid as many deer as possible while on your way to Grandma’s House. It’s something, just from looking at it, that immediately puts me in the mind of the Outrun games I played growing up. It should be stated that Oh, Deer! Alpha, as the name implies, isn’t a full game. Oh, Deer! Alpha is releasing before PSM closes to give people a chance to check the game out and offer feedback. (Essentially it’s sort of like early access.) For $0.49 you’re getting a sampling of what to expect from the future of Oh, Deer! and what’s there is pretty fun. It’s very easy to get a handle on the controls and drifting around turns, while slamming into a long line of deer, feels great. Right now the music changes to reflect how you view the lives of innocent deer, but in the future the background will completely change as well. You can read some more details on changes to come in the developer’s forums here. In this alpha version of the game your progression leads into a handful of different locations with backgrounds featuring pyramids, castles, waterfalls, and some other cool scenery that I’ll let people discover on their own. 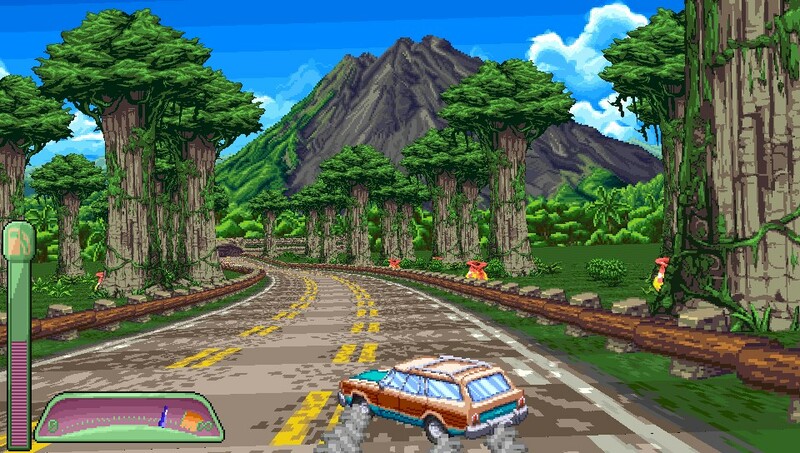 Each area looks great especially on the Vita’s screen. It’s also probably worth noting that Motohiro Kawashima (Streets of Rage 3) created the soundtrack for the game. We’ll likely have more thoughts on the game in our next podcast which will be followed by a Dev Chat with the developer next week.